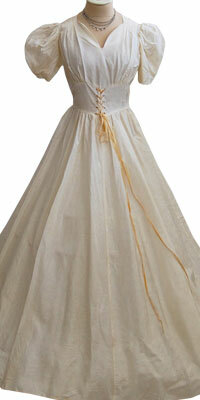 Bring back the old times and fashion in this very sweet and alluring white gown. 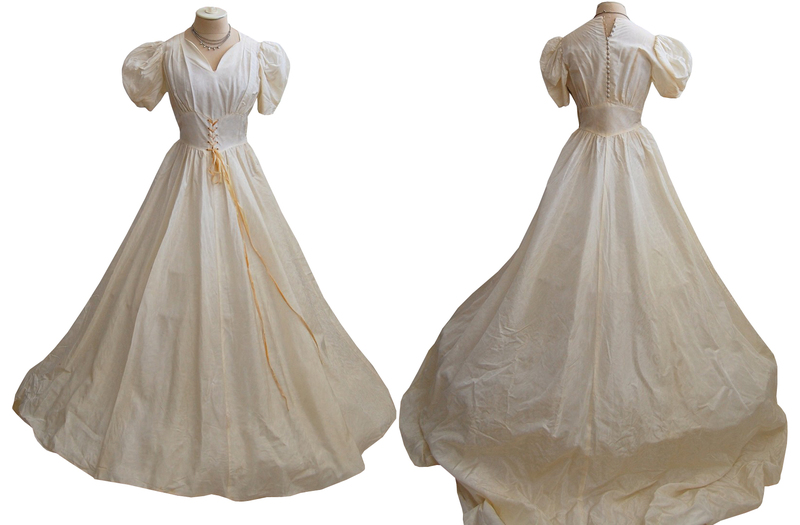 The dress has puffy sleeves with a high v neckline and the empire waist has band with light orange colored crisscross tie-ups. The skirt is very flared and it touches the floor.